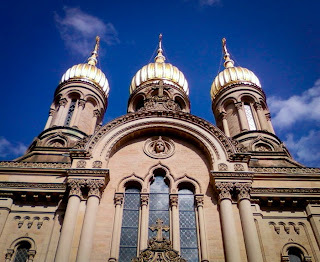 St. Elizabeth's is a Russian Orthodox church in Wiesbaden. 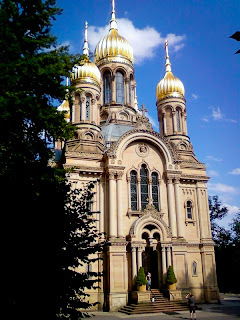 It was built as a memorial to the young Russian wife of a German duke. It looks like something out of a fairy story, though the young Elizabeth's life was probably not like a fairy tale. 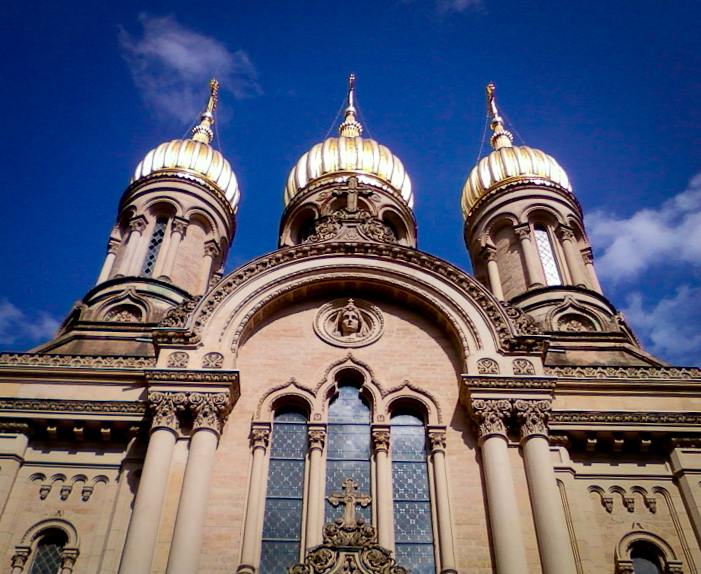 The church is a one of the things you can see at the top of Neroberg when you take the railcar up the mountain. You can go up the mountain and make up your own fairy tales.